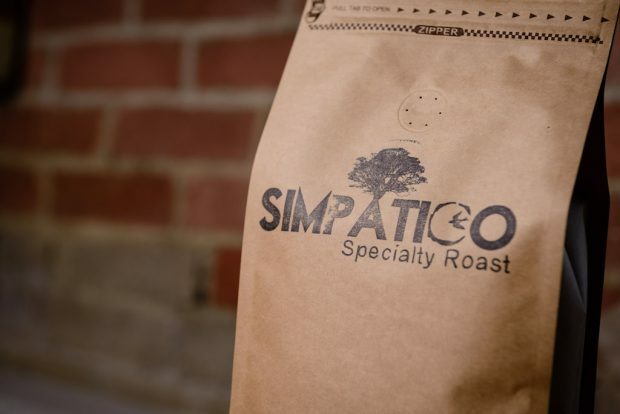 The Michigan-based coffee roaster Simpatico Coffee has opened its third retail location and is well underway in the construction of a larger off-site roasting facility where it will bring its two US Roaster Corp 12-kilo Revelation roasters under one roof. The move will increase and streamline production operations in order to fuel continued growth for the company, in hopes of translating its nationwide online success in low-acid coffees into more brick-and-mortar grocery shelf space around the United States. 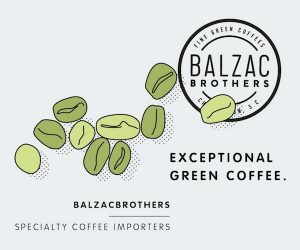 While the full-spectrum company also serves and sell coffees in its cafes and to wholesale accounts that are sourced from a variety of origins and roasted to preserve the acid-inclusive entirety of their characteristic cup profiles, it’s ultimately their exclusive, naturally low-acid Oaxacan bean, put through a patent-pending roasting technique, that provides Simpatico’s platform for differentiation as well as stability from online sales through Amazon, eBay, its own website, and shelf presence in more than 50 brick-and-mortar retail locations. Founded in 2010 by former English major and art gallery owner Alexander Fink, Simpatico says its core coffees are 100-percent wild Oaxacan mountaintop arabica growing in volcanic soil in the Sierra Madres, naturally shaded by indigenous canopy, harvested by hand and transported by mule down unpaved terrain. 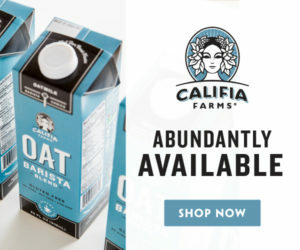 By virtue of its wildness, the coffee remains free from herbicides, pesticides and chemical-based fertilizers, according to the company, which also claims that the coffee itself is naturally low-acid, and becomes even lower in acid content by a undisclosed proprietary roasting technique. The niceness of that low-acid coffee has been corroborated in a couple different blind tests conducted by third-party review sites. Most notably, CoffeeReview.com held Simpatico as substantially better in the cup when compared to competing low-acid coffees. 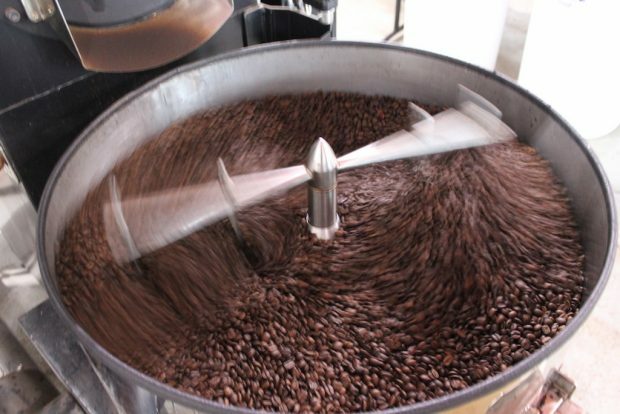 Fink contends that this is due in part to the quality of the green coffee, and also in part to the fact that while other low-acid roasters achieve their desired reduction in acid content through either an extra-slow, extra dark or “interrupted” roasting process, Simpatico does none of these. Unfortunately, opportunities to put his coffee up against his low-acid peers are rare, given the acid-celebratory nature of most roasting competitions. “The way that coffee profiling has gone in the last ten years is more light roast, more nuanced flavors in the coffee, which is great, and we make some like that. But there’s a lot of people out there that really don’t care about that,” said Fink, describing his online client base as an older demographic, age 40 and above, that are happier simply to be able to stomach multiple rich, comforting and otherwise delicious cups, scientifically lab-certified as consistently having a pH of 5.75. 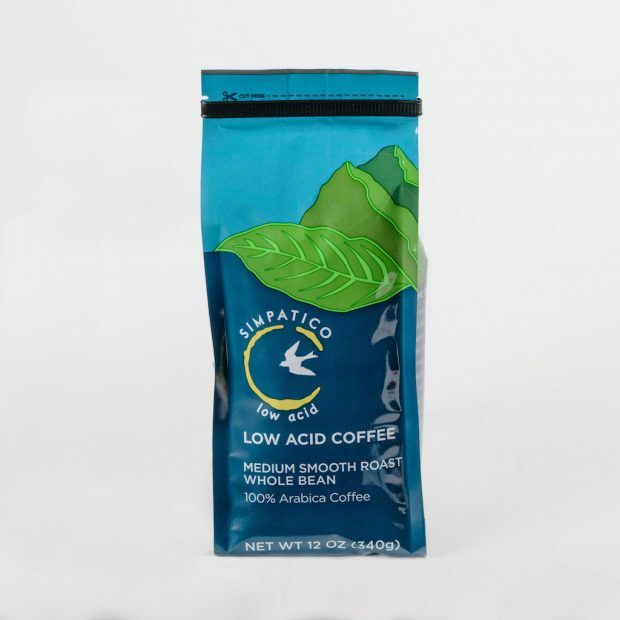 Simpatico achieves its low-acid product through standard roasting equipment made by U.S. Roaster Corp, at whose Oklahoma manufacturing facility Fink learned the ropes before launching as an independent, mostly self-taught roaster. 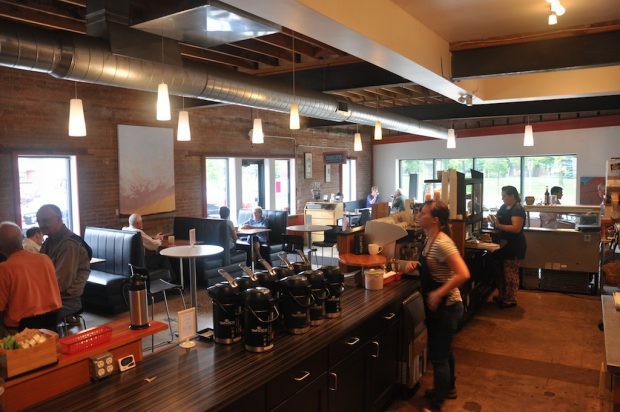 Currently one of the roasters doubles as “eye-candy” in a less-often-used production space shared by an onsite bakery inside a Simpatico retail café in Holland, Mich., while the other is located in a facility in Grand Rapids. 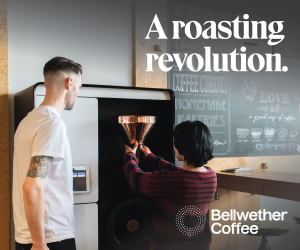 When the new 2,000-square-foot offsite roastery is complete, both machines will be used more frequently and simultaneously for an uptick in production. The new Simpatico Coffee café’s service counter, which went live earlier this month, centers on a 3-group Rancilio Classe 7 espresso machine, with Bunn batch brewer handling quicker grab-and-go cups. 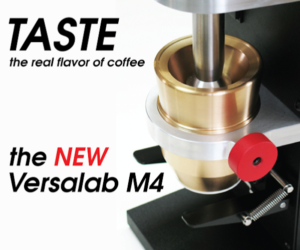 Manual methods on offer include Aeropress and French press, and the selection of coffees is by no means limited to the low-acid Mexican single-origin options. The new shop is located at 975 Butternut Drive in Holland. Fink noted that the things they do amount to quite a lot already, and the company has achieved quite a bit in a particularly short amount of time.